The Jack Sparrow Beard Style: How to Grow, Guide, Examples, & More! The question is, where to start with this beard? In fact, it’s not a beard as much as it’s a statement: mustache, soul patch, goatee, braided whiskers. The Jack Sparrow beard is, indeed, both an attention-grabber and a crowd-pleaser. If you’re familiar with the “Pirates of the Caribbean” movie franchise, then you know that this beard is named for Captain Jack Sparrow. It’s really a combination of three styles, and each style must be made carefully to achieve the ultimate look. What is it? It’s a blockbuster of the facial world, that’s what. If nothing about you says “I’m a fan of ‘Pirates of the Caribbean,’ then this beard will be the billboard that announces it for you. You’ve got to have a little rebel in you, that’s for sure, and it indicates that you have a free spirit who appreciates a bit of gritty fun. And it suggests that, if you could have it your way, you’d be out on the high seas looking for the next great adventure. 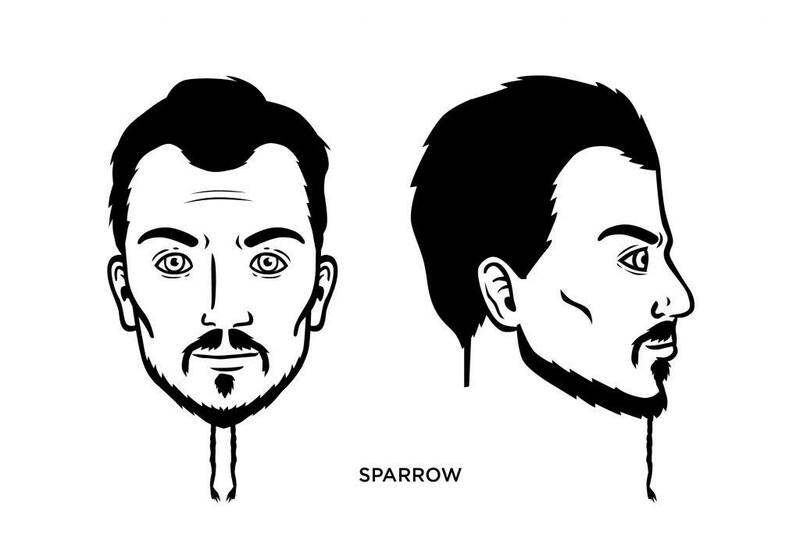 What Face Shape is Best For the Jack Sparrow Beard? If you have an oval or rectangular face, the Jack Sparrow Beard will look rather nice on you. However, if you’re bound and determined to grow this marvel of facial hair engineering, then you probably don’t care a helluva lot about the shape of your face. 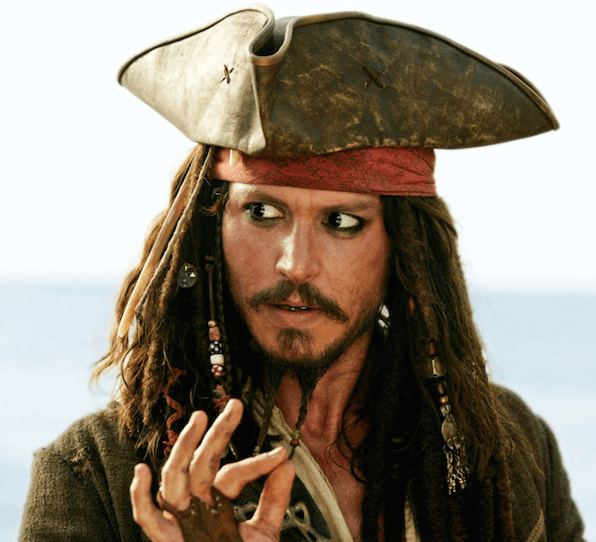 Let’s keep it simple – no small feat when describing how to get the Jack Sparrow look. Shave the cheeks and neck. Don’t trim the hair above the lip or below the lower lip, and on the chin. Let the mustache grow to just beyond the corners of your mouth. Trim the Soul Patch into a triangular shape as if it’s point toward the chin. Allow hair to grow about four to five inches out from the bottom of your chin. Part the long strands of hair below your chin and braid or fasten the strands with beads. What Famous People Wear the Jack Sparrow Beard? Well, Johnny Depp, of course – considering he plays the part of Captain Jack Sparrow.